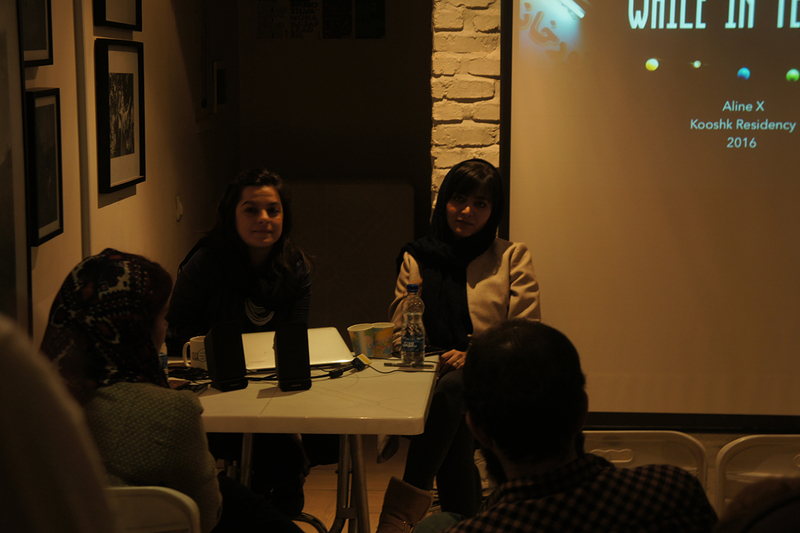 The Artist Talk and Presentation of Aline X, awardee of The 19th Videobrasil festival has been held in Rybon Art Center on January 20th, 2016. 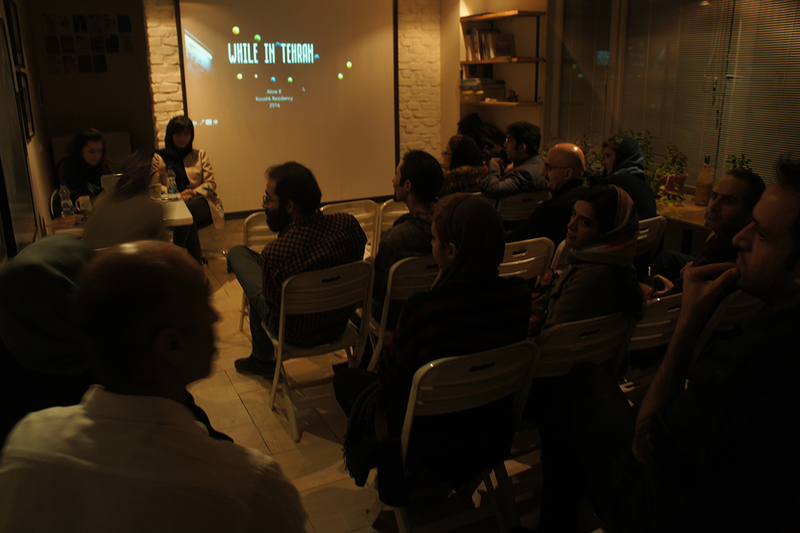 In this session the work experiences and upcoming projects of Aline in Tehran has been discussed and showed to the audience. 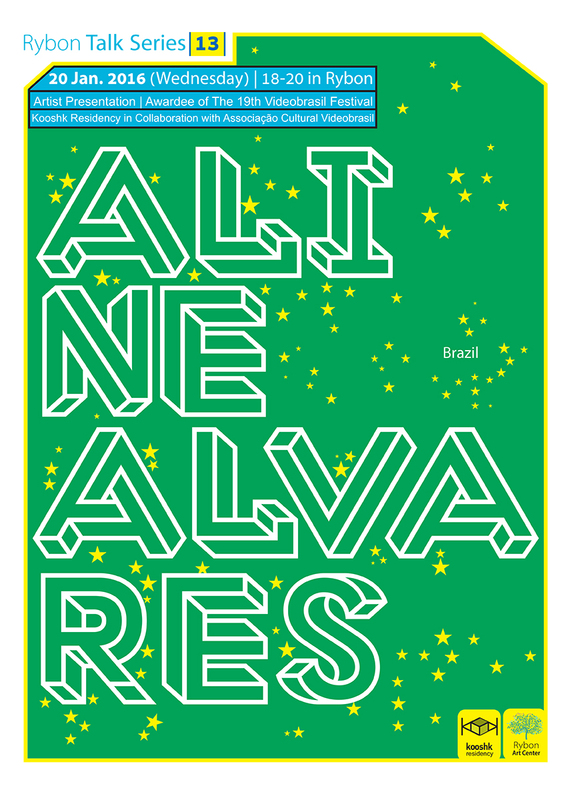 Aline X has been selected as the award winner of 19th festival of Videobrasil to participate a fully funded artist residency for a period of two months in Kooshk Residency.